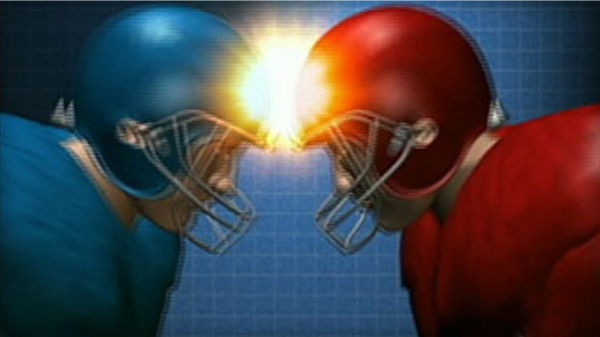 How Well Do Football Helmets Protect Players from Concussions? The elusive answer appears to have been provided at the 2014 American Academy of Neurology’s annual meeting. In a study co-authored by Frank Conidi, MD, DO, MS, director of the Florida Center for Headache and Sports Neurology, Assistant Clinical Professor of Neurology at Florida State University College of Medicine, the standard drop test was modified to measure linear and rotational responses in crash test dummies to repeated 12 mile-per-hour impacts. Conidi, who is also the vice chair of the American Academy of Neurology’s Sports Neurology Section, and his colleagues conducted 330 tests to measure how well 10 popular football helmet designs protected against traumatic brain injury, including: Adams a2000, Rawlings Quantum, Riddell 360, Riddell Revolution, Riddell Revolution Speed, Riddell VSR4, Schutt Air Advantage, Schutt DNA Pro+, Xenith X1 and Xenith X2. They found that helmets do protect the player from massive injuries like skull fractures in the range of 70 to 80 percent but provide little to no protection against concussion in the range of 10 to 15 percent. Why is that? While the helmet does its job in disbursing the impact of a hard hit across the helmet to greatly reduce the risk of a skull fracture at one specific site, a helmet cannot stop the brain from shaking inside the skull, thus providing little to no protection against a concussion. One of the best tools we have available is neurocognitive baseline testing. With the beginning of the school year upon us, please remember to get your child baseline tested. 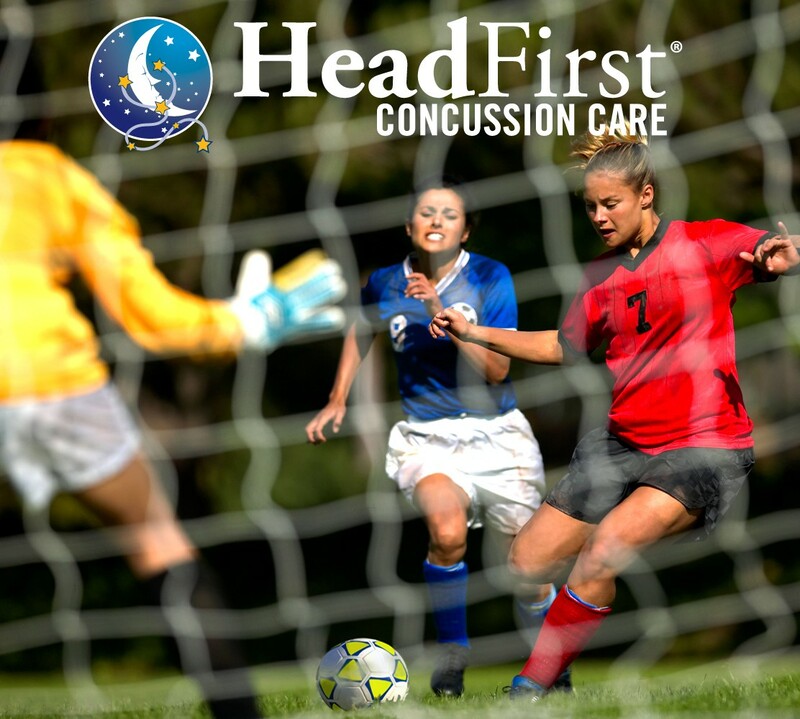 Headfirst Concussion Care offers free ImPACT® baseline testing. Please call 1-855-748-4868 (SIT-IT-OUT) or visit us online to arrange your child’s appointment. Are Concussions Being Taken Seriously Enough? 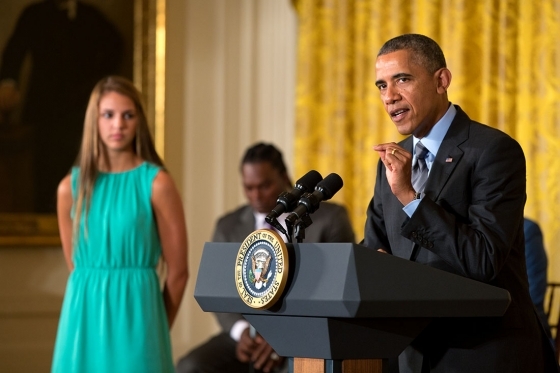 This week’s Healthy Kids and Safe Sports Concussion Summit at the White House had the President addressing the increasing number of mild traumatic brain injuries (mTBI). With the White House now focusing on the situation, surely, word is getting out and parents, coaches and trainers are taking this diagnosis seriously, aren’t they? Unfortunately, though, even with national-level attention, some folks still aren’t getting the message. Just this week, I saw a BMX (bicycle motocross) parent whose child has suffered a concussion. During our conversation, I heard phrases like “it was only a little concussion” and “everybody gets a little dinged,” proving that the BMX community is another sport where we can still make inroads. HeadFirst Concussion Care is committed to doing just that by attending local and state BMX championship events to educate fans, parents and coaches that mTBI is truly a serious injury. Another recent case involved a parent who was reluctant to admit her daughter had a concussion, despite advice from several HeadFirst health providers. Several of us had noted oculomotor deficiencies (when the patient has trouble with movement of the eye) and recommended a referral to an ophthalmologist. Four weeks later, the child still had not been taken to the specialist. After a follow-up exam, I demonstrated to the young patient’s parents that she had bilateral lower field deficits and used the ImPACT test to demonstrate deficits in her peripheral field. For the second time, I emphasized to the parents the importance of following our recommendations and in getting their young child to have an eye examination. Despite all the press about concussions, I’m still seeing encounters like these all too often. So, what can we do? Additionally, emphasize to parents that concussions are a silent injury. Many of them would treat a broken bone or sprained ligament with more care than they would a brain injury. 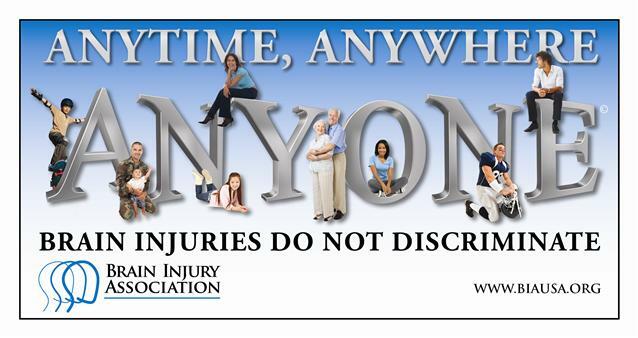 But, a brain injury should be taken just as seriously, if not more so, as a visible wound. The AB and ZZZZZs of Sleep for Athletes: Get Your Rest Before Taking Your Baseline Test! It is recommended to get a good night’s sleep on a regular basis, but how much is considered a “good” amount? How long do you sleep? I am mainly asking high school and college athletes here. And I know sometimes it is easier said than done when you factor in homework, sports, other extracurricular activities….maybe even a job! Picture this: You are eager to start your season. Then your coach or athletic trainer tells you to take a baseline test. You may have heard about it from other students or not at all. Most schools and many organizations, including HeadFirst Concussion Care, are using the ImPACT® baseline test to measure the way an athlete’s brain functions, including cognitive thinking, memory and reaction time. The computerized test takes about 25 minutes to complete (as cited in Lovell, 2010) and is intended to give your coach, trainer, and provider a baseline measure of your normal brain function. In the unfortunate event of a concussion, you will take the ImPACT test over time (usually every office visit) to help your healthcare provider, coach, athletic trainer, and teachers make proper decisions for school and returning to play as you recover. Okay, back to the subject at hand. Now it is the night before the baseline test. How long should you sleep? A recent study published in the American Journal of Sports Medicine reported that athletes who slept fewer than seven hours before the baseline performed worse on three of four ImPACT scores and reported more symptoms related to their brain injury (as cited in McClure, et al., 2014). Here’s the bottom line: it is important to get enough sleep on a regular basis, aiming for more than seven hours. 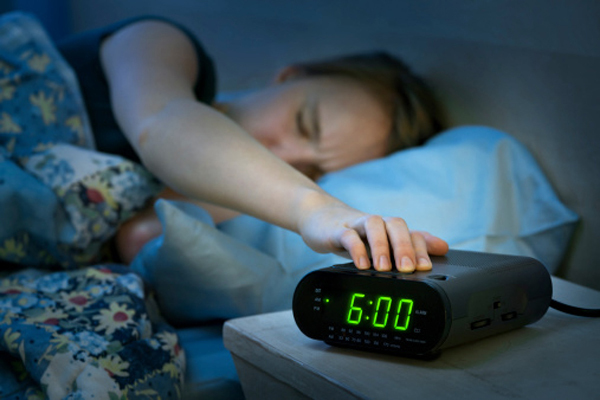 If you do not get enough sleep before your ImPACT test, it may not represent your academic ability at its best, especially if you have to go through the entire day and take it after school. Many times in the HeadFirst clinic, I have seen the results of a patient’s test after a suspected concussion better than his or her baseline! Remember, this is a serious matter so make sure to put your best effort forward. I hope you found this helpful and would like to hear your thoughts. Avoid naps. If you are tired and must take a nap, make sure it is a short nap and not close to your bedtime. Rest and unwind before heading to bed. Avoid stimulating television shows or video games. Make sure your room is quiet, comfortable, and without bright lights. If you do not go to sleep after 30 minutes, try reading , listening to music, or other quiet activities to encourage relaxation. Ms. Holland typically works at HeadFirst Waugh Chapel clinic. She received her Bachelor of Science in Physician Assistant Studies/Certificate in Primary Care at Howard University. Ms. Holland is a Board-certified Physician Assistant and is a member of the American Academy of Physician Assistants and an American Academy of Physician Assistants Veteran’s Caucus Member. Helping Our Athlete’s Make the Right Decision to Sit It Out! There is no doubt about it whether it is football, soccer, wrestling, cheerleading, tennis or race cars, athletes love their sport. Therefore, the last thing they want to do is sit out of a game, match, competition, or race. It is a hard but necessary step in recovering from a concussion and preventing second-impact syndrome. Dale Earnhardt Jr. is learning this first hand. In late August he had his 1st concussion from a crash on a raceway in Kansas. He thought he was okay. He felt good, but on October 7th, he sustained another concussion from another, less severe crash. His symptoms returned. He saw his doctor for a headache that would not go away. Dr. Perry made the right decision and would not allow him to race last weekend or in the race this weekend either. Perry wanted Earnhardt, Jr. to be evaluted by professionals, and Earnhardt, Jr. is lucky to have such a proactive team. They spent Tuesday at University of Pittsburgh Medical Center’s Sports Medicine Concussion Program consulting with Dr. Micky Collins, a concussion specialist, formulating a return to play that included ImPACT testing before returning to the raceway. Earnhardt talks about needing someone else (his doctors) to make the decision for him not to race because the love of racing would keep him behind the wheel even though he knows that concussions are serious. Our athletes are no different. As parents and coaches, we owe it to our athletes to be that “voice of reason” when we suspect a concussion. From the moment we even think our athlete has sustained a concussion, they must SIT IT OUT! Even though it is hard, we must be proactive in protecting our brain…we only have one for life.